Spring Fairy Festival this Saturday! I'll be at the 10th Annual Spring Fairy Festival in Tacoma, WA, this Saturday. This one-day celebration of spring takes place at Crescent Moon Gifts, a fabulous shop for the fairy-friendly, and we will have outdoor pavilions and workshops and strolling entertainers and lots of shiny things to see. I’m excited to table my light fantastical art and to visit with fairy fans and artists in the Puget Sound area! The festival is family-friendly and free - there are activities for fairy friends of all ages throughout the day. Studio Wondercabinet will be at our table by the front door with copies of my newest sketchbook, “Faeries, Fates and Furies”, new artwork and lots more. If you join us, say hello! 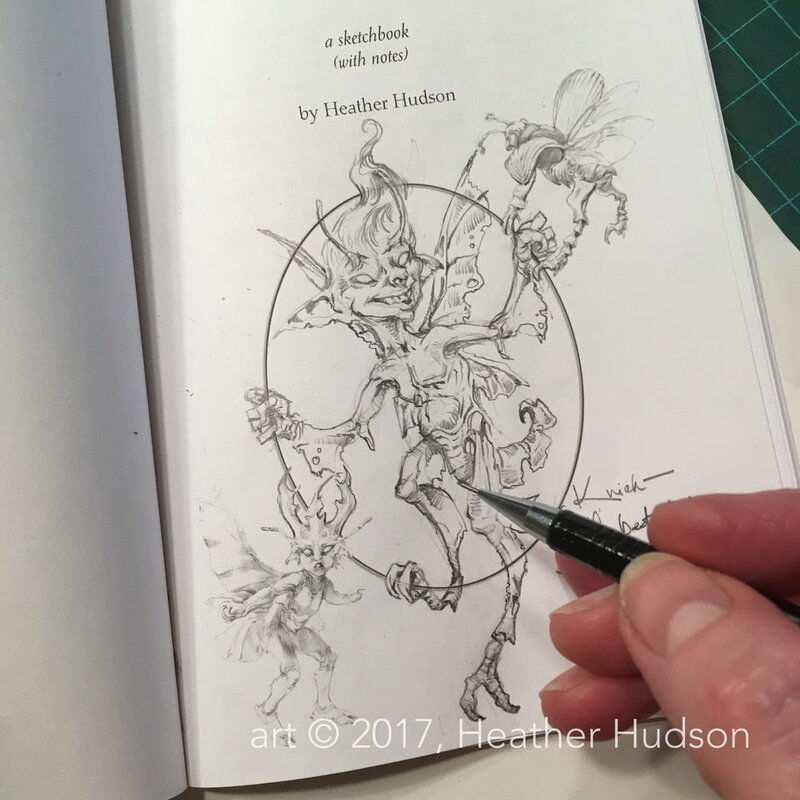 And if you can’t join us, you can still see my sketchbook and current available original fairy sketch art online at the Studio WonderCabinet store. June is coming, and with it the June Fae 2017 artist challenge, a month of daily fairy art creation —there will be #junefae all over the internet. I’m looking forward to June Fae this year! I'd love to find homes for last year’s fairies before the flock of new fairies appear!